woody belt sandal, for this ten years. But the belt ( called Hanao ) was in rags by the daily usage. I tryed to find “Geta Smith” to repair it. Long time ago, more shoe shop had hte Hanao repair service. and such as shop was decreased by the changing our lifestyle. I wish more peoples use Geta more casually. and I could order to repair it. 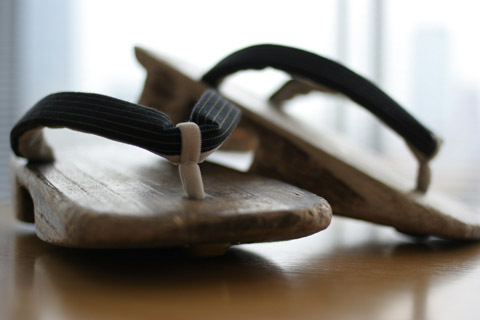 I can keep to wear the Geta for ten more years.